'Tis the season to be cozy! 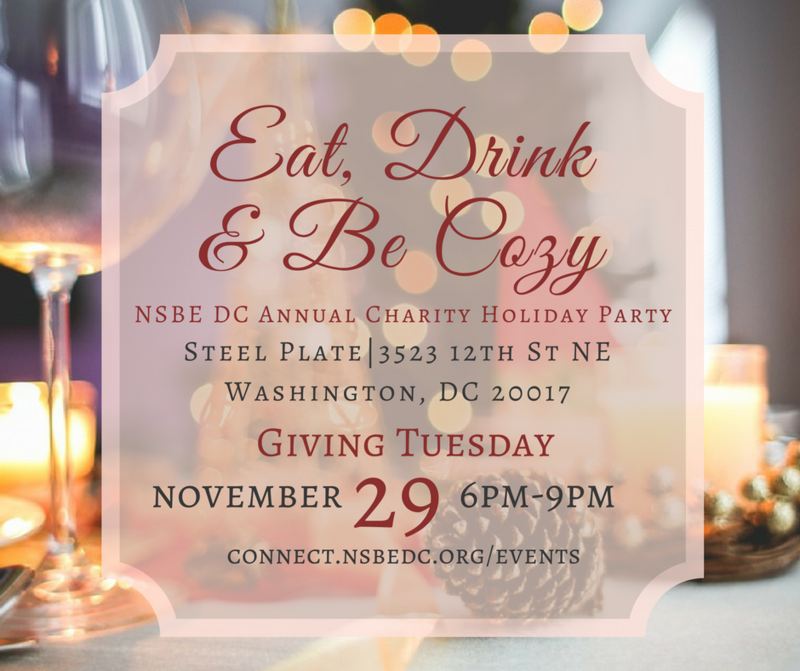 Join NSBE DC for our annual charity holiday party! Socialize and enjoy food and drink with your NSBE DC family. Wear your favorite holiday sweater and get ready for the lip sync battle! Guaranteed to be a night filled with holiday cheer! $15 admission for everyone. Last day to register is Monday 11/28!